Comfort. Safety. Simplicity. MADE IN THE USA. 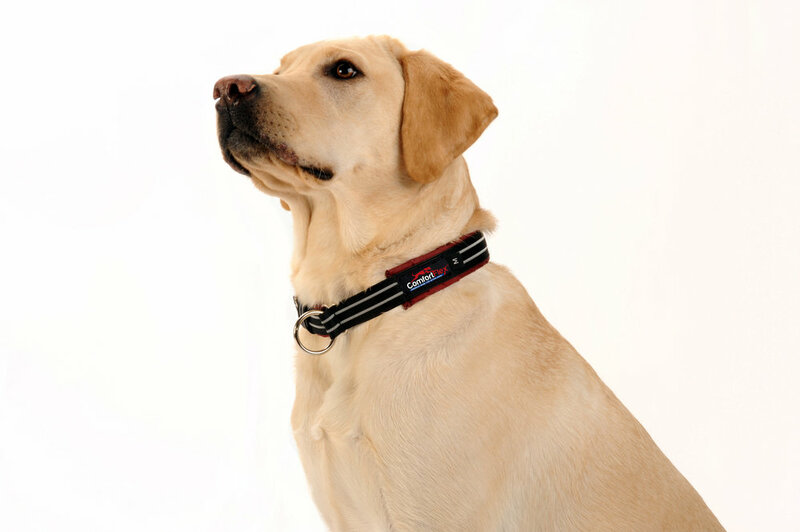 The ComfortFlex® Limited Slip Collar is designed to keep your dogs both safe and comfortable on their walks. The lightly padded nylon collar goes on loose, easily slipping over the dogs head. If the dog pulls in any direction away from you, the collar then tightens down enough so that the dog can not slip out of the collar, but not enough to choke the dog. Reflective strapping makes this collar easy to see in low light situations.